Leadership development is an important tool to running a successful company. At Cydcor, we like to share motivation and success advice. You can check out the Cydcor Pinterest boards for inspiration if you need it. For now, learn about these charismatic CEOs who are changing the way we do business and leading the world into a new generation. 1. 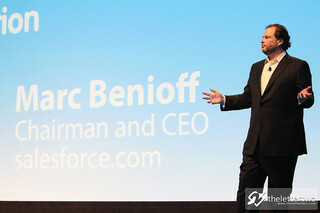 The Showman- Marc Benioff, Salesforce.com. Benioff was voted by readers of The Street as the number one tech CEO of 2013, winning a whopping 54%, compared to Amazon Titan Jeff Bezos with 8%. Benioff has driven the push to cloud computing more than any other leader in the industry, and the success of Salesforce.com has been the payoff. Benioff is one of the few CEOs active on Social Media, and also leads a powerful sales conference called Dreamforce every year, attracting some of the top leaders in the industry. 2. The Bleeding Heart- Howard Schultz, Starbucks. Schultz recently appeared in an interview with Oprah and openly discussed his emotional ups and downs. Schultz has been famous for emotional reactions in the past, and while to some that may seem negative, no one will ever doubt his commitment to his company. After returning as CEO of Starbucks during the economic downturn, Schultz led the company to its biggest profits yet. 3. The Idealist- Blake Mycoskie, TOMS. After encourntering impoverished families around the world, Mycoskie called in every favor he had to start a shoe company that would provide aid to needy families. 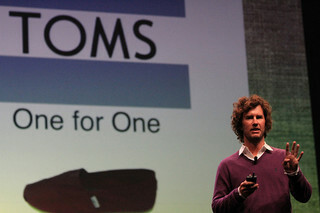 Solving a problem with an economic solution using his one-for-one model, Mycoskie has become a leader in fashion and social enterprise when he was barely over thirty years old. Leadership development is part of the company culture at Cydcor. Who is your favorite CEO to follow? Tell us who inspires you!